Our hotel will be undergoing renovations starting April 8, 2019. We will remain open and do everything possible to minimize guest impact during this time. Please feel free to call the hotel directly with any questions or concerns. Please note that our hotel has two floors, but we do not have an elevator. An active railroad runs behind the hotel. 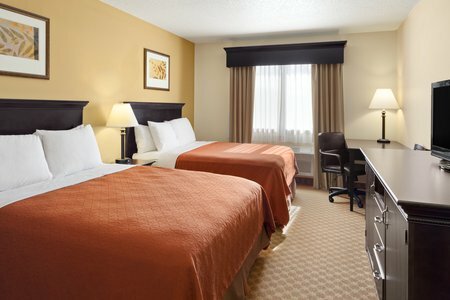 Reserve your hotel stay at the Country Inn & Suites® by Radisson, Northfield, MN to be near both the shops of historic downtown and the natural beauty and Nerstrand Big Woods State Park. Prospective students enjoy our location near Carleton College and St. Olaf College. After a campus tour, head downtown for a quick history lesson about the Northfield citizens who thwarted a robbery by Jesse James. Please note: Our hotel will be under renovation starting April 8, 2019. We will remain open and do everything possible to minimize guest impact during this time. Please call the hotel directly with any questions or concerns. 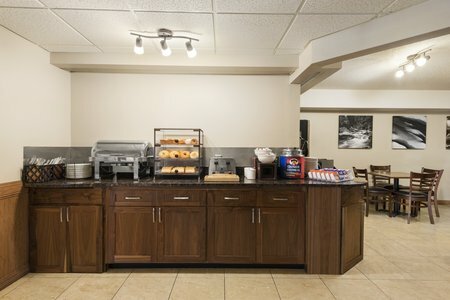 Start your day with our complimentary, hot breakfast featuring Belgian waffles, sausage, fresh fruit and more. For lunch or dinner, check out one of the restaurants within a half mile of our hotel in Northfield, MN, such as Basil’s Pizza and The Tavern of Northfield. Historic Downtown Northfield – Located within a half mile of the hotel, Northfield’s bustling downtown still houses the bank Jesse James once failed to rob. This event inspired the area’s biggest annual celebration, the Defeat of Jesse James Day. Be sure to visit the Cannon River Walkway in the heart of downtown for some unique dining options and live musical performances. Carleton College – This private liberal arts college boasts several top-notch programs, including a nationally recognized teaching school. Drive four minutes from the hotel and explore the college’s Zen garden, a peaceful place complete with an authentic Japanese lantern carved out of stone. Visit the first Friday of every month to gaze at the stars using the telescopes at Goodsell Observatory. Nerstrand Big Woods State Park – For a day of outdoor adventure, head to this state park about 15 minutes from the hotel. Hike to Hidden Falls for a family picnic beside a soothing waterfall where you can also listen to native songbirds. During the spring and summer months, the area is bursting with wildflowers, including the dwarf trout lily, found only in this part of the world. 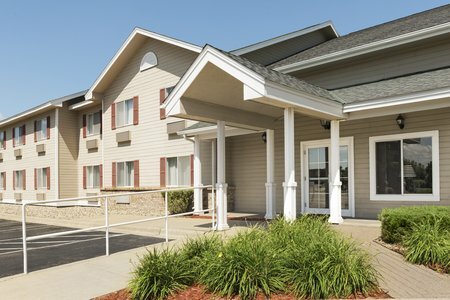 Read more about our Northfield, MN hotel’s location. 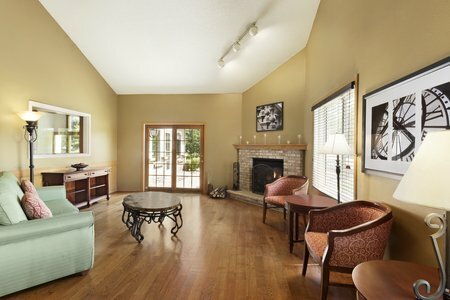 Looking to host an event in Northfield? Our breakfast area provides a warm environment for business meetings and intimate social functions. We offer you and up to 20 guests access to free high-speed Internet and a 24-hour business center.